Our extremely thorough tile and grout cleaning services will leave your floors sparkling. Over time dirt and grime finds its way into grout lines and depressions in tile. We’ll professionally clean your tile, restoring it to so that it looks great again! 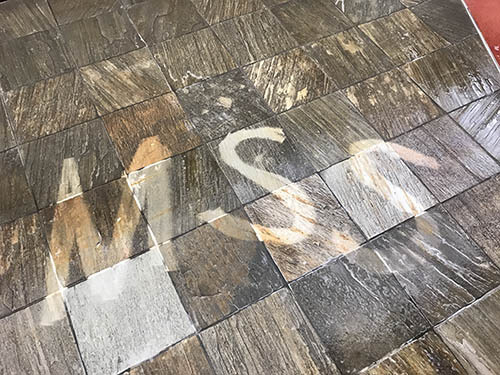 When it comes to tile and grout cleaning in Denver and the surrounding areas, MSS Cleaning has the solution. We clean tile and grout of all types. Whether we’re cleaning ceramic tiles, porcelain or natural stone like slate, marble, or travertine, we’ve got the right solutions to clean and restore your floors, showers, or other hard surfaces like concrete. I was impressed with their customer service on the phone, their ability to meet my schedule availability, and the quality of their work. The tile and carpet in my building look great. 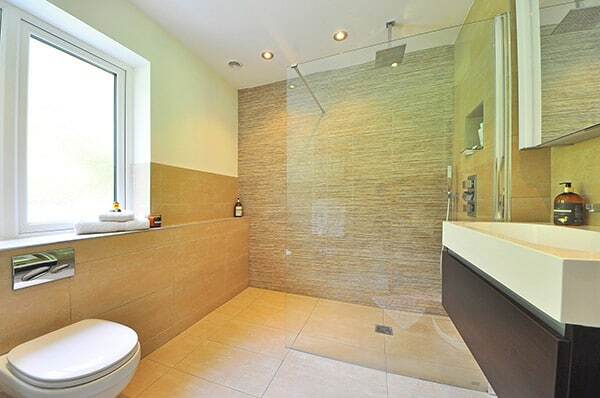 I commonly have a heck of a time getting the grout cleaned properly with other cleaning services, but MSS Cleaning was able to get a deep clean that really made the bathroom tiles shine. I would definitely use them again, and I absolutely suggest giving them a call for your needs. Cleaning tile and dirty grout lines can pose a difficult cleaning challenge for even the most seasoned do it yourself tile and grout cleaner. Scrubbing each grout line with a toothbrush, getting no where certainly isn’t much fun. Instead, we harness the power of our powerful truck mounted machines along with specialty tools to hit your stubborn tile and grout lines hard! To do this, we use a fully contained hot water, high pressure tile and grout cleaner system for deep, effective cleaning. This can be done using the proper equipment to clean vertical surfaces like tiled showers, or to clean horizontal surfaces like counter tops. Of course, we clean floors as well. For floors, we can add in the use of a counter rotating brush machine. This Brush Pro machine has two heavy duty brushes that spin at 375 RPM to aggressively work grout lines without damaging the tiles. Proper tile cleaning requires plenty of heat, the right selection of detergents and solutions, agitation and high pressure rinsing. Fortunately, we have the right equipment to provide all that is needed and more to get amazing results. After some work with our tile and grout cleaner, you will no longer will you have dingy brown grout where clean grout once existed. Similarly, the depressions and holes in natural stone or textured ceramics will be left clean and shiny. Mopping works to maintain clean tile, but over time the dirt and grime finds itself into places mopping can’t effectively reach. Your solution is to either scrub each grout line and tile inconsistency with a toothbrush, or to call us. We’ll perform your tile and grout cleaning the professional way. Not only will your lower back thank you, but your floor will too. Once your tile and grout cleaning had been completed, it only makes sense to help it stay looking it’s best. We offer an optional tile sealing service as a follow up to cleaning your tile. 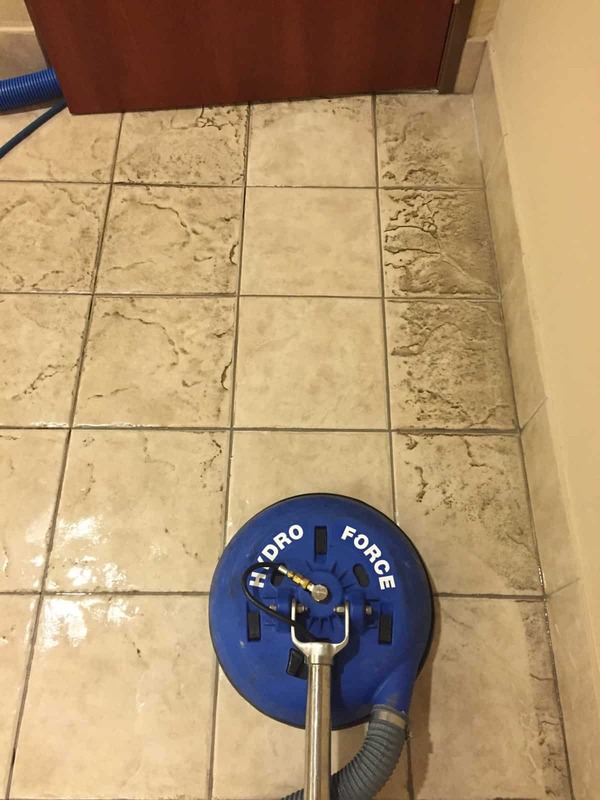 We use some of the best penetrating tile sealers on the market (usually DuPont products) to make sure your tile is protected from stains and wear, keeping them looking better, longer. Tile sealing is a great final step to finish the job right. Located in Denver, we provide tile and grout cleaning services to the greater Denver area. See the difference our tile and grout cleaning services can make! Call today to schedule an appointment with our expert technicians.